Friday night in our house generally brings with it our own version of Jewish traditions. We aren’t particularly religious and so without a bar mitzvah, wedding, new years etc, we aren’t likely to be seen in a synagogue. 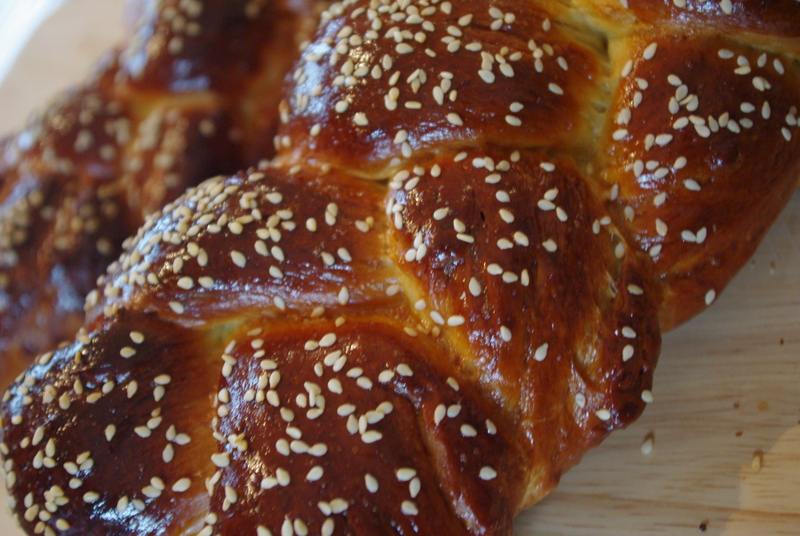 However, Friday night prayers have always been a staple, and along with that comes wonderful loaves of Challah bread. 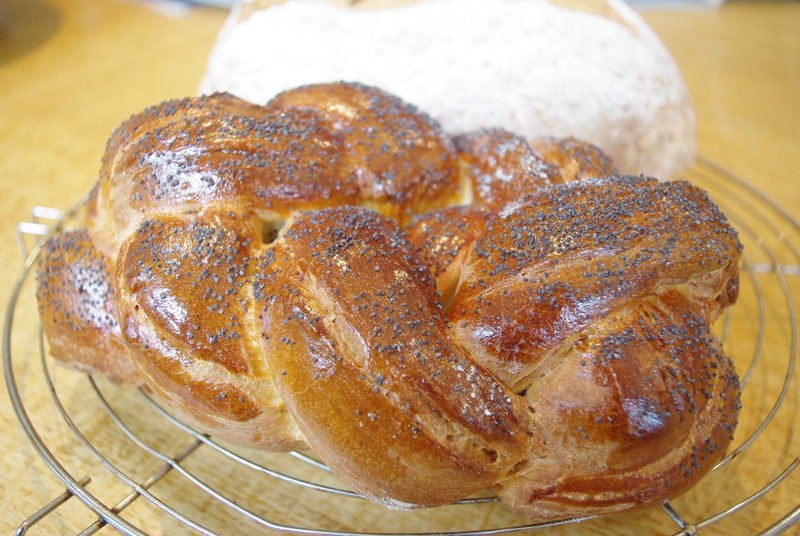 Challah is a traditional Jewish braided loaf that is one of the three components of the Sabbath prayers, the others being the candles and wine. There are usually two loaves which represent the sustenance sent down by God to the Jews who were stuck in the desert for 40 odd years after their exodus from Egypt. There is often a tradition of dipping pieces of bread in salt and, given the significance of the Jews having escaped slavery and being stuck in a desert for 40 years, is said to represent their tears. It turns out, from quick internet search, that Jews really like salt. It has nothing to do with tears but more to do with the fact that salt is seen as both an important religious part of an alter table, and that it is just generally really good with food. A yiddish proverb claims “no Jewish table should be without salt”, however, nowadays this could apply to most tables in the western world. Home-made Film and Fodder Challah! 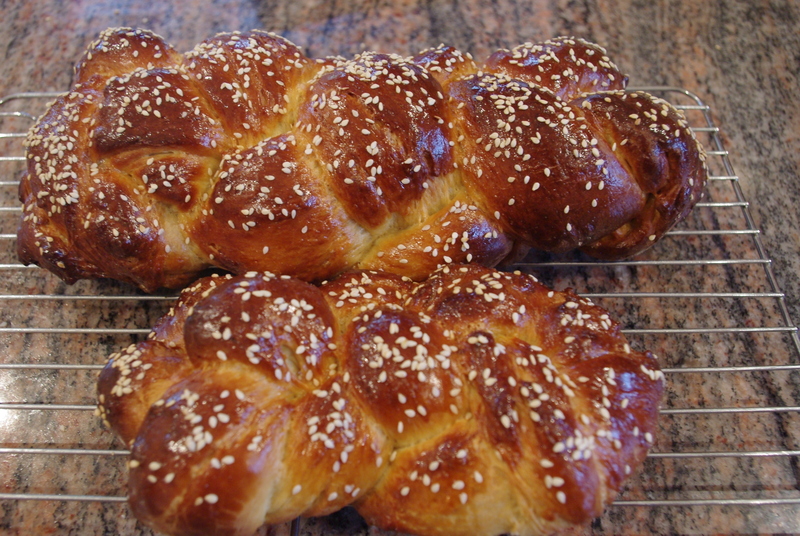 This Challah was made last week for some family friends who live outside the city and far from any Challah vendors. I used a recipe by Melissa Clark who writes for the NYtimes I find it well balanced in its sweetness and egg flavour. Richer than most bread but not as sweet and buttery as brioche. Remember to check when cooking as I managed to overcook one, giving it a very tough crust. To braid the dough I used these instructions, but you can find many on the internet! 1. In the bowl , combine yeast, sugar, and 1/2 cup warm water. Let the yeast mixture stand at room temperature for about 5 minutes until it starts to look foamy. 2. Whisk in orange juice, olive oil, 2 eggs, honey, and salt. Using a machine mixer with dough hook or by hand, begin slowly ading flour, 1 cup at a time to form smooth dough, beating well after each addition. Mix until smooth and elastic, but still sticky, about 5 minutes. Turn dough out onto a floured work surface and knead for about 2 minutes until the dough begins to spring back. It should stick to your hands. It’s annoying, but worth it. 3. Lightly oil large bowl. Add dough, turning to coat with oil. Cover with plastic wrap, and let dough rise in warm draft-free area until doubled in volume, about 1 to 2 hours. 5. Grease a baking sheet. Turn out dough onto lightly floured work surface. Divide dough into 4 equal portions. Roll each piece into ropes. Arrange ropes in a criss-cross pattern and braid. Place braided loaf on the baking sheet. Whisk remaining egg, brush dough all over and let rise again until almost doubled, about 30 minutes. 6. Preheat oven to 180°C. Brush dough again with egg. Sprinkle with poppy or sesame seeds on top and transfer to oven. Bake for 30 minutes until golden and the bottom sounds hollow when tapped. I would check after 25 so as not to overcook! Transfer challah to rack and cool completely. 27 May	This entry was published on May 27, 2013 at 3:02 pm. It’s filed under Food, Recipes and tagged Baking, Bread, Challah, Flour, Friday, Jews, Olive oil, Sea salt, Sesame, Western World. Bookmark the permalink. Follow any comments here with the RSS feed for this post. Looking forward to trying out this recipe. Thank you!